Per the rules of the judicial performance evaluation survey, unless extenuating circumstances apply, there should be a presumption that a “not retain” recommendation be made for any judge whose overall score in the lawyer survey is 2.85 or lower. The committee has not been provided any evidence of the existence of extenuating circumstances. Accordingly, the 21st Circuit Judicial Performance Evaluation Committee recommends that Judge Dale W. Hood NOT BE RETAINED. 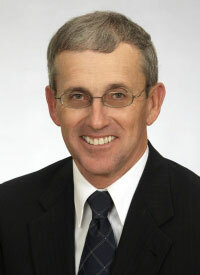 Judge Dale W. Hood was appointed as associate circuit judge for the 21st Judicial Circuit on December 20, 2005. He has been a Family Court judge and handled a civil docket since his appointment to the bench. He received a Bachelor of Science degree from the University of Missouri-Columbia and his law degree from St. Louis University. He also has a master of science from the University of Missouri-Columbia. Judge Hood is a member of The Missouri Bar, St. Louis County Bar Association, and Associate Judges Association. Attorneys who responded to survey questions rated judges on a 1 to 5 scale by selecting one of five boxes on a scale from “not at all” to “completely.” An average score would be 3 (the middle box). Judge Hood scored less than 3 on all 18 categories on the attorney survey. His highest average ratings were for efficiently managing his docket (2.93) and issuing timely opinions and decisions (2.93). His lowest scores were in the following categories: demonstrating appropriate demeanor on the bench (2.14) and weighing all evidence fairly and impartially before rendering a decision (2.14). A peer survey of fellow St. Louis County judges gave him an average score of 3.49. The committee was provided with three written opinions by Judge Hood that were well written and precise.